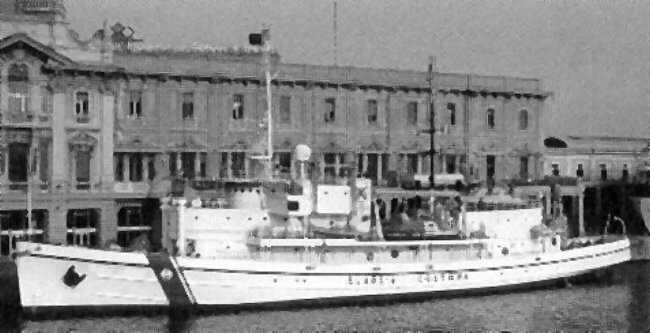 Laid down, date unknown, at Charleston Shipbuilding and Dry Dock Co., Charleston, S.C.
Decommissioned, 21 February 1947, at Orange, TX. 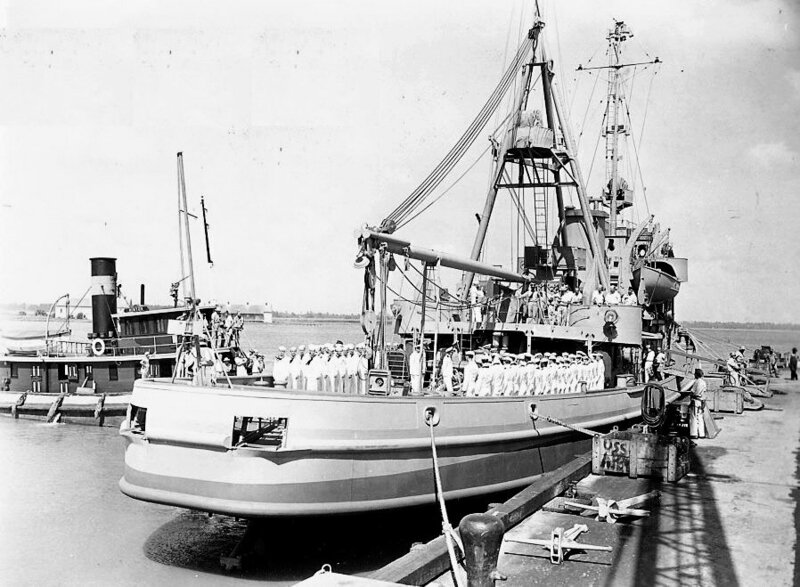 28k USS Bannock (AT-81) commissioning ceremony, 28 June 1943, at Charleston Shipbuilding and Dry Dock Co., Charleston, S.C.
28k USS Bannock (ATF-81) underway, 26 August 1944, location unknown. 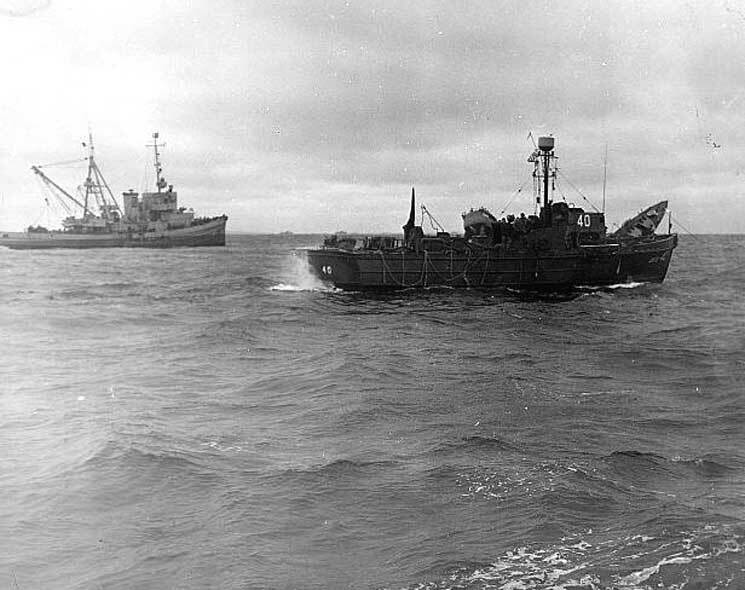 52k USS Bannock (ATF-81) at the scene of the sinking of USS Meredith (DD-726), off Utah Beach, 9 June 1944. 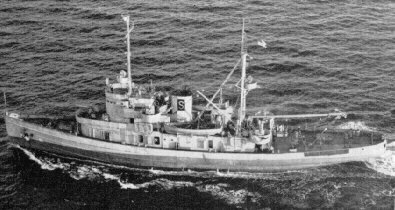 Meredith struck a mine off Utah Beach, 8 June 1944 and was sunk the following day by German aircraft. 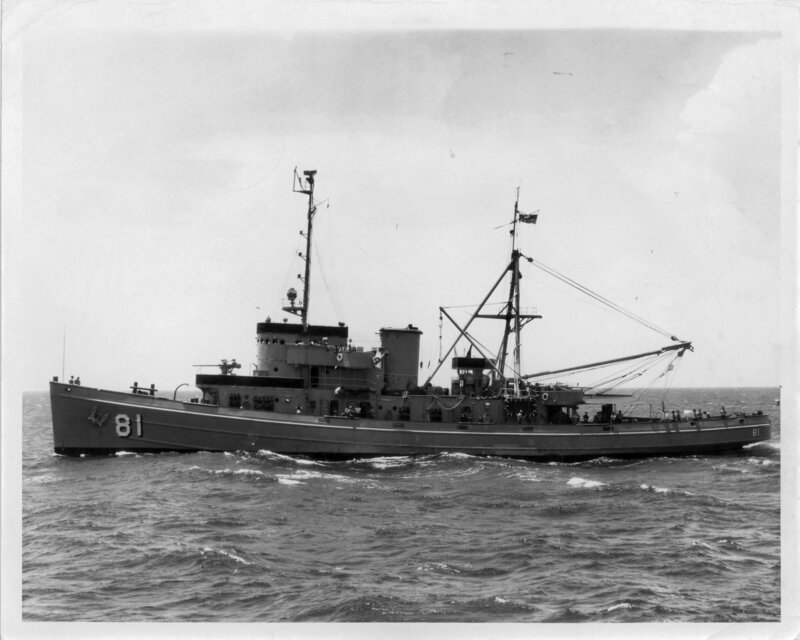 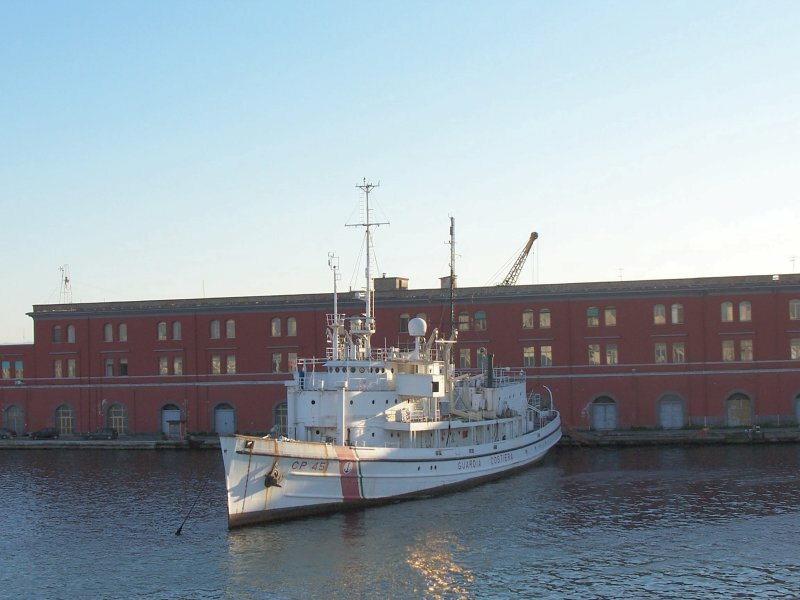 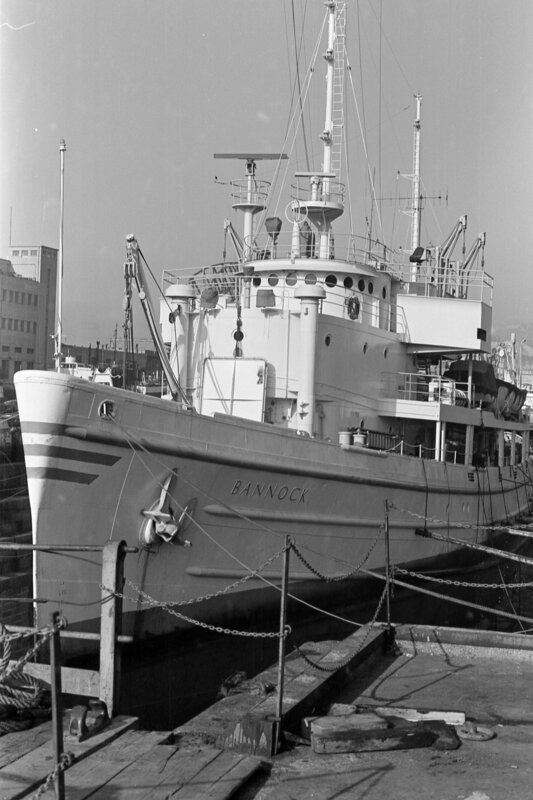 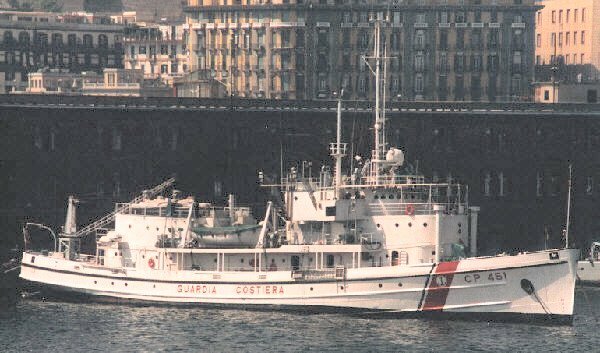 Note, just across the midship area of the 83' patrol boat is the stern, and over the bow, is the overturned bow of Meredith. 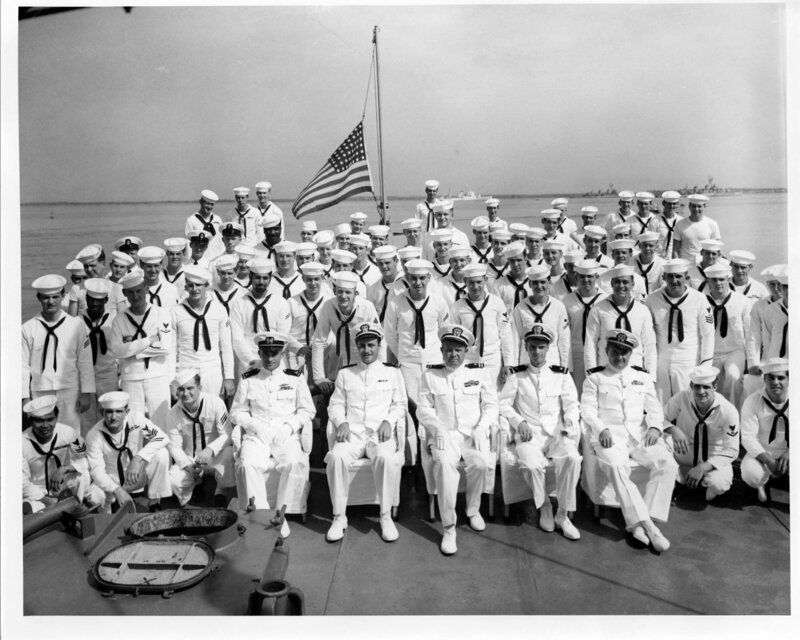 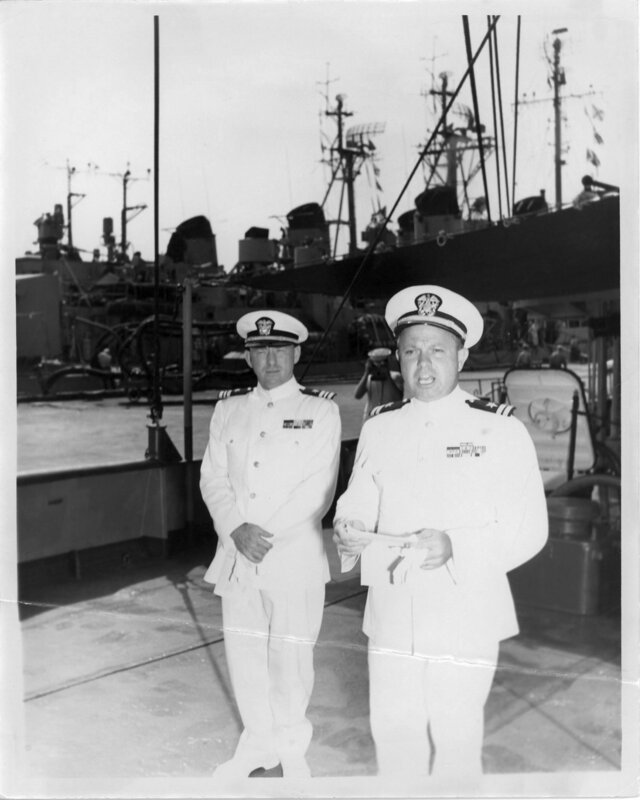 261k USS Bannock (ATF-81) change of command, LT. Harold Mitchell Yelton, USN relieves LCDR. 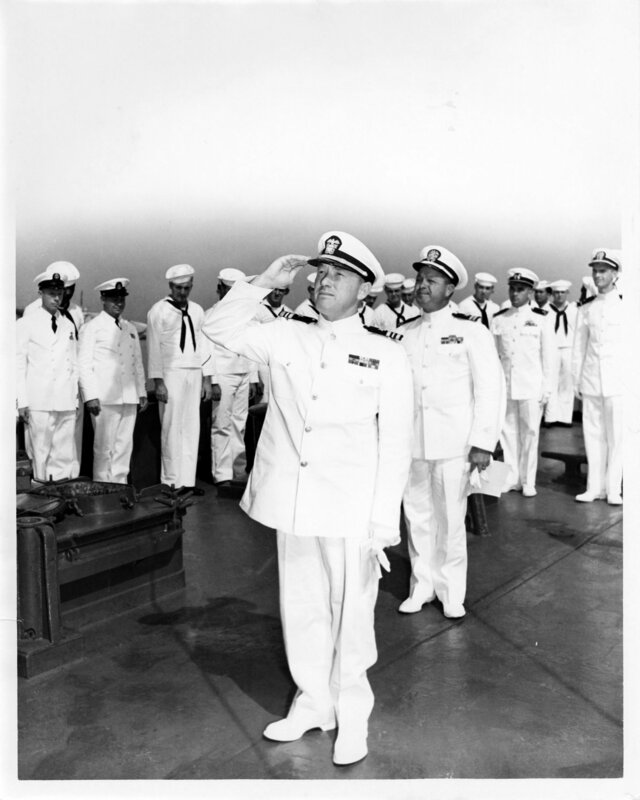 Jesse Lee White, USN, 25 September 1954. 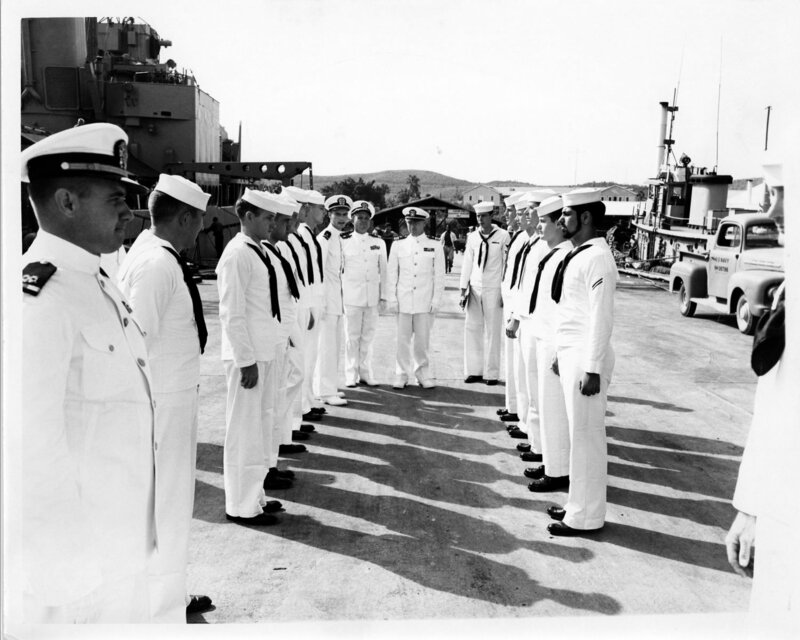 US Navy photos.